SnapMD from Andrew J. Schuman on Vimeo. I recently presented a Technology workshop for 100 pediatricians at the American Academy of Pediatrics (AAP) National Conference in early November. Among a lot of other great tech, we presented SnapMD as part of our brief Telehealth demonstration. 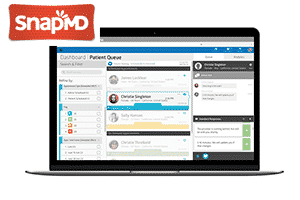 All attendees were impressed by the SnapMD platform, and those pediatricians who are considering implementing Telehealth visits would be well advised to consider SnapMD. In preparation for the workshop I received training from the staff of SnapMD and was truly impressed by the company and the platform. 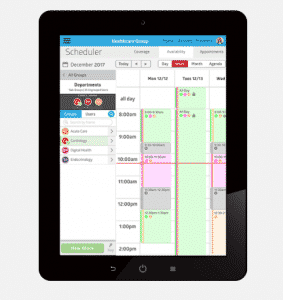 At no charge SnapMD will configure the web-based portals for patients, practice administrators and providers with your practice logo and colors and setup the system to your liking. 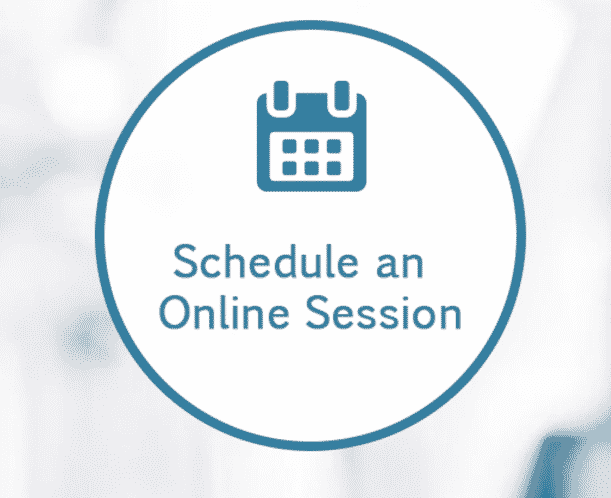 Some practices may choose to have patients schedule their own Telehealth appointment or schedule an impromptu visit with the on-call pediatrician, while other practices may prefer having the patient call the office with the appointment made by the practice staff. The video provides a brief overview of the platform. There is a smartphone or tablet based application for patients to use (called Virtual Care), to facilitate scheduling and launching a visit. Patients can also use a web based portal to schedule or launch a visit and enter a “virtual waiting room”. When the physician launches clicks a “start visit” button from inside the portal the visit begins. I think you will find the company passionate about their product and willing to answer any and all questions. Telepsychiatry from Andrew J. Schuman on Vimeo. Pediatricians frequently have difficulty arranging mental health services for patients. This is a consequence of an extreme shortage of Child and Adolescent Psychiatrists. According to the American Academy of Child and Adolescent Psychiatry (AACAP) website, the current need for Child and Adolescent Psychiatrists (CAPs) is 30,000 providers, but only 8300 are practicing, and this pool is shrinking. Because of this shortage of child psychiatrists, 75% of all mental health services are provided by pediatricians. I recently co-authored an article on improving access to mental health services, that will be published in the August 2018 issue of Contemporary Pediatrics. There are several striking statistics that emphasize the need for improving mental health access. So how can pediatricians and family physicians facilitate mental health access for our patients, young and old? One way of improving access to mental health services is by improving our skill set, by taking courses or being mentored by a dedicated Child and Adolescent Psychiatrist – so we become more proficient in diagnosing and managing patients on our own. Another approach is to embed a psychologist or psychiatrist in your practice. The quickest and easiest way to facilitate access to mental health services is to consider providing telepsychiatry access in your office! The video describes how this can be accomplished and discusses the E-Psychiatry web site and service. 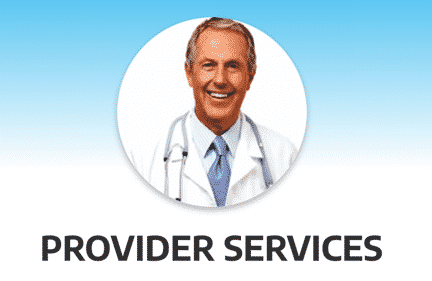 As discussed in the video, E-Psychiatry provides services in all 50 states. Many insurances will pay for telepsychiatry if you access in your office. Self pay patients should expect to pay about $175 per hour for Telepsychiatry visits with a psychiatrist, less for visits with a nurse practitioner. Redbook from Andrew J. Schuman on Vimeo. 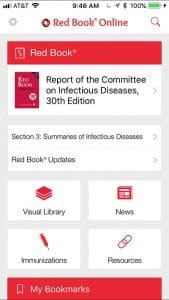 As a pediatrician I have relied upon “The Red Book” throughout my career as an indispensable source of information on infectious diseases in children. 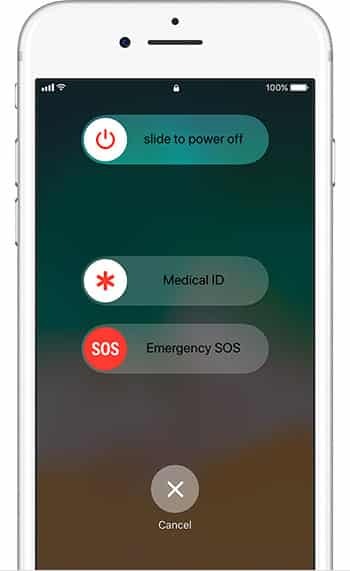 It details our frequently encountered diseases along with the “zebras” of infectious disease. This resource helps diagnose and treat patients as well as prevent spread among family members and children who may be exposed to patients in the daycare environment. As described in the video, “The Red Book” comes as a thick book, mobile versions, as well as an online version. 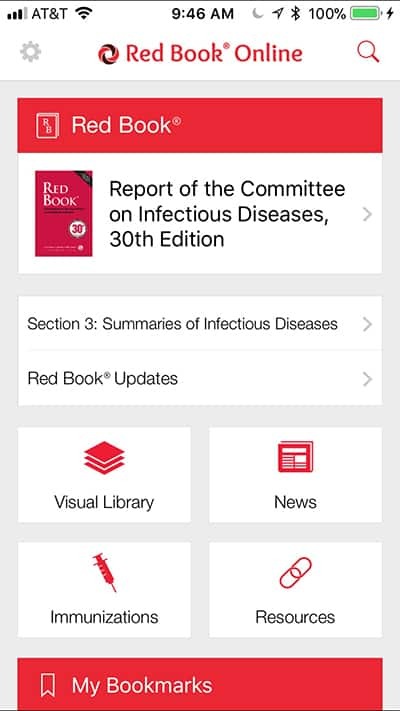 While I continue to enjoy flipping through the pages of book, when I am in a room with a patient, the online portal known as the Red Book Online (https://redbook.solutions.aap.org/), provides quick access to information, as well as over 2500 pictures of diseases that help me explain conditions and treatments to my patient’s parents. It also provides links to informational handouts which are concise and well written. This handouts by the way can be customized with personalized with instructions for your particular patient. Immunizations are very complicated these days. The “Red Book” provides information about indications, catchup schedules, side effects and answers all questions that arise during the course of a busy day. Additionally “The Red Book” has links to appropriate American Academy of Pediatrics (AAP) relevant policy statements and provides updates to recommendations as they come available. While all pediatricians who are members of the AAP get the book, family practice physicians can purchase this resource for a very reasonable $160. Every physician caring for children can stay atop their game by using “The Red Book” daily! ReadQxMD from Andrew J. Schuman on Vimeo. Years ago physicians relied on textbooks for medical information. Nowadays we rely on applications like UpToDate to keep us informed. However, as medical care evolves so rapidly it’s important to keep current with the medical literature. 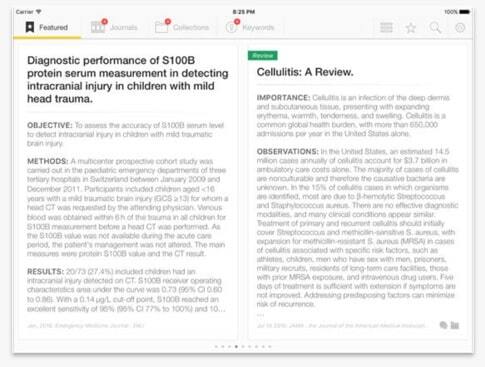 I recently discovered the Read QxMD application that facilitates searching the medical literature, reviewing abstracts and often full articles, and organizing them for quick retrieval. As demonstrated in the video, one selects topics, journals and key words, and then the application finds relevant article to read and review. It is helpful to have hospital library access as this facilitates article retrieval, but is not required. The application is free, available on both Android and IOS platforms and works best on tablets- for ease of reading. Pdfs are downloaded to your tablet, and these can be annotated with built in mark-up tools, and shared with colleagues. 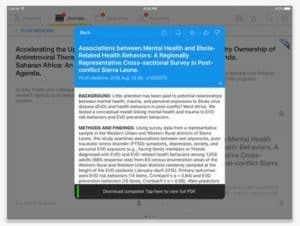 Perhaps best of all the application monitors the medical literature and sends you notifications when new articles become available in your areas of interest. 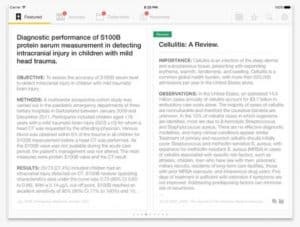 Read QxMD no doubt will be in my top ten application list when I next write a review article on the subject!